By 1910, Fr Collender had organised the building of the Convent and had arranged for Sisters of the order of St Joseph to staff the school (the old church fitted out with desks, forms, etc). In 1913 there were three nuns and one lay teacher but next year a fourth nun was added to the staff and from then until 1965 four nuns were in residence during school terms. The Convent also housed twelve girl boarders until the mid-twenties, when, perhaps because their dormitory was required for a temporary class room while the new school was being built, the practice of taking boarding pupils was discontinued. By 1913, there were too many pupils to be contained or accommodated in the old church building, a weathershed at the back of the school was brought into use as the Infants class room. In very bad weather, the children were somehow fitted into the big school room or taken over onto the back verandah at the Convent. Fund-raising in those days seemed to consist of the Catholic Ball followed on the second night by a juvenile ball, a bazaar or fete and the members of the Hibernian Society used to organise a race day, probably on St Patrick’s Day. The Sisters, then had no other income except school fees and fees for teaching music, singing, painting, business courses, etc but this money was no fortune and at the end of the year a concert was held which hopefully produced enough money to settle any outstanding household debts and cash to cover the cost of train tickets to which ever other Convent they were planning to spend Christmas. By the beginning of the twenties the old school was beginning to show urgently the need for repairs. It was probably in late 1923 that the old school was pulled down and the building of a new one commenced. Mr John Myers built the new school (at a rumored price of $1,200.00). A doorway was cut through from the school side into the erstwhile boarder’s dormitory to provide a temporary class room, which together with the weather shed accommodated the pupils until the new building was complete. The building was later blessed and opened by Bishop O’Connor. In 1969, new classrooms were built and the covered walkway which connected the new building with the old school, which now was converted to an assembly room and a library. This new building was blessed and opened by Bishop James Freeman on 30th Mary, 1969. Fr Shanahan (who came to the Parish in 1982) was responsible for setting up the School Board. He always had a close association with the School, taking personal interested in all aspects of the school and personnel. The Sisters of St Joseph withdrew from the Parish at the end of 1987. During their time at Barraba, they had taught all school subjects and also assist to in the community the taught a Commercial Course (shorthand, typing and business principles). Music was also taught at the Convent during the years of the Sisters being in Barraba. To honour the Sisters many years of devotion to the children of St Joseph’s School, upon their withdrawal from the School, a parishioners’ day of appreciation was organised by Fr Shanahan and the Sisters farewell committee. The first lay Principal was Mr Lyndsay Dean. Mr Dean was Principal for only one year. The Convent then became the Principal’s residence (although still currently referred to as the ‘Convent’). Mr Chris Waters came to St Joseph’s in 1989 and with his wife 3 children also resided in the Convent and was Principal for three years. Mr Gary McSweeney was Principal for 2 years and during his time at Barraba, submitted an application for a new classroom and administration area. 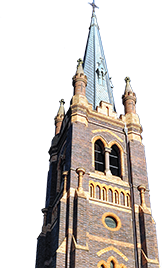 The application was successful and in May 1994 the extensions were Blessed and opened by Bishop Manning in the presence of the Director of Catholic Education for the Armidale Diocese, Mr Paul Woodcock and a large crowd of parishioners, parents and children. Mrs Lesley Grigg was appointed Principal in 1994. In 1996 a successful Reunion of all ex-students and ex-staff was held in conjunction with the Barraba Festival. The day commenced with Mass in the Church and then the ex-students were invited to visit the school for the day and share in a meal and a tree planting ceremony. Lesley remained Principal until the end of 1999. Thanks to a capital grant and financial support from the parish a new amenities block was opened in November 1999. Mr Tony Hunter was appointed Principal in 2000. During his time a computer lab was installed above the library and extensions to the staff room almost doubled the area of the existing building. Tony remained in Barraba for 2 years.